Think of a setting on the beach, with friends gathered around and the little chatter starts settling in, everybody seems to be enjoying the moment, especially after the barbecue is washed down with a bottle of cold drink. Now, all that remains is music – say Despacito, to set the mood right. However, you didn’t plan on having a small party, so you forgot to bring audio sound systems along. The good news is you don’t have to ever worry about leaving your speakers at home. Heard of coolers with speakers before? If you haven’t, just as the name implies, they are coolers that have built-in Bluetooth speakers. 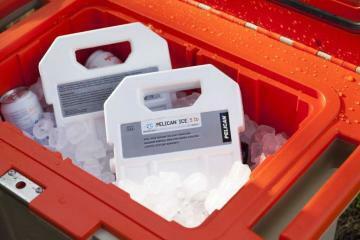 Aside music, this portable, and compact coolers offer maximum ice retention. Also, it is right to point out that these coolers shouldn’t necessarily replace your audio systems. They have good speakers with incredible sound quality but not superior to quality audio speakers. 2.5 Are there Yeti coolers with speakers? These innovative coolers come with notable features like FM radio, Bluetooth, and bass control functions to tune sound. 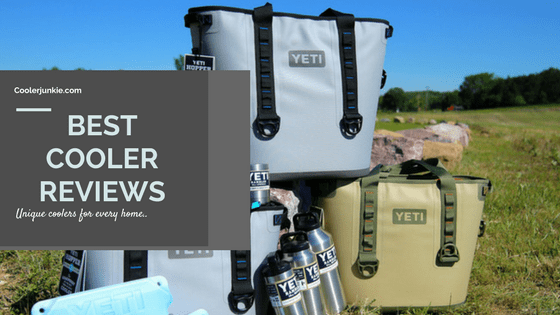 Also, some of these cooler with speakers are waterproof, and this makes them perfect for picnic, tailgating, barbecuing, camping and so much more. Still haven’t made up your mind yet about this ice chest? Well, there’s a guide at the end to help you decided whether or not they are worth it. 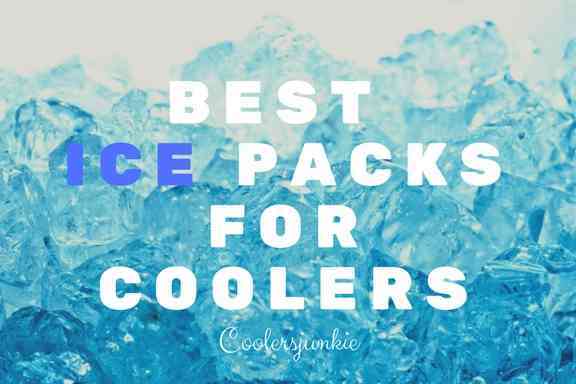 Picking number 1 on the list is a cooler that will make you make you hold your breath. 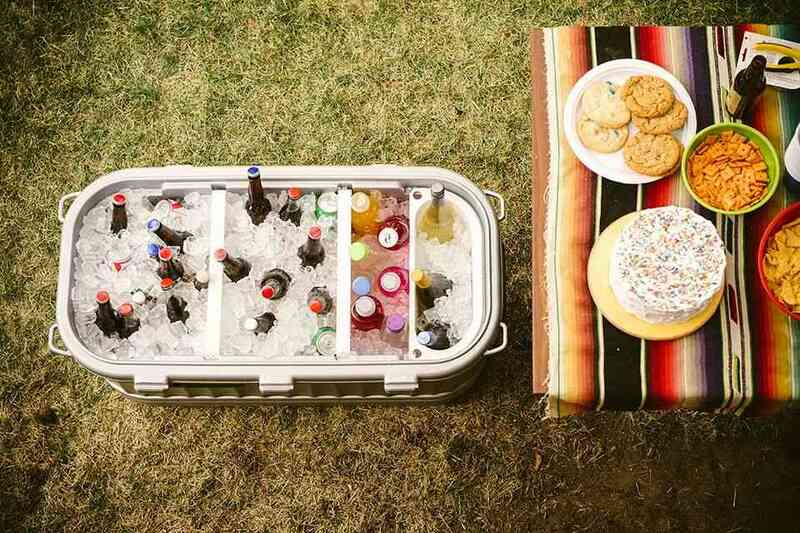 Indeed, the coolest cooler sticks out of basic ice chest design and features. The manufacturers are pushing a product known for only for ice retention into a multi-functional equipment for your pleasure and many more. On a first glance, you’ll notice the exterior Bluetooth speaker which is removable. Blaring quality sound is what you’ll get here. One of the best things is the LED light in the lid which enables you to find drinks in the dark. The amazing features don’t stop there. Also, there’s a 20-volt ice crushing blender that’s handy for mixing drinks of all kinds. 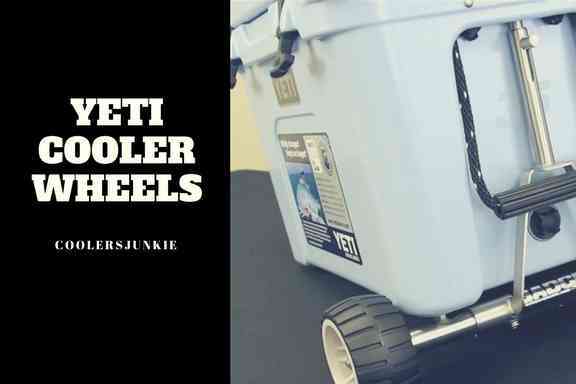 With that said, this 12-volt cooler will make an excellent rolling cooler as it features sturdy telescoping handle with rubberized wheels. 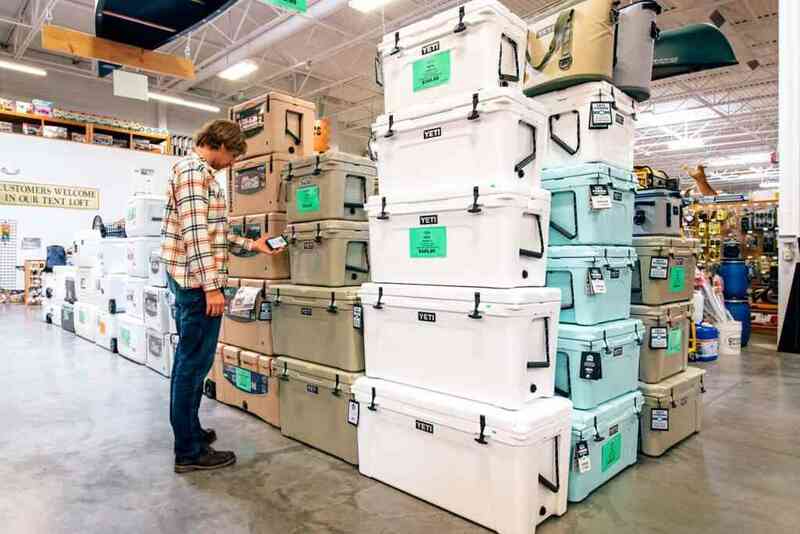 No doubt, the coolest cooler is aesthetically alluring, and with three attractive colors of Classic orange, Margarita green and Blue Moon expect a lot of compliments from people. The bungee cord allows you to pack extra gears on the lid. With so many features like; waterproof USB charger, built-in bottle opener, ceramic knife, four integrated plates, this cooler is definitely an overkill. Did I mention the cooler can hold ice for days? Also it can be used as a power bank, simply connect your smartphone via the dedicate waterproof USB slot to charge. Finally, we have only good things to say about this cooler; it’s a bit pricey and bulky but worth every penny. Try it out and see for yourself. Quite spacious, the cooler has an impressive capacity of 48 cans/ 28 beer bottles. Bungee cords let users load items on the lid and hold them tight in one piece. Same as the cooler we reviewed earlier, this one too, has heavy duty wheels and a long telescoping handle for ease of transportation. The built-in rechargeable battery will last up to an incredible 16 hours of playing time. Available USB ports mean you can make reverse charging, plug your Android or iPhone to charge up your smartphone. Made from improved insulation materials, your items will remain cold for up to 3 days. If you are the type that likes multiple color options, you’ll be happy to know that it comes in four different colors of Red, Blue, Grey, and Orange. Like the coolest cooler, it comes with ample features among which the built-in openers and great sound output and numerous color options make it stand out. Although the price might be a cause of turn off for many, it has all the right features to justify the price. Picking at number three is great for storing your drinks and a cure for boredom. With waterproof materials, this bag is built to resist the menace of water. So you don’t have to fear to hit the beach with this one. The boom sound of the speakers is as a result of its dexterous construction; 280HZ-16k Frequency. You can play music either via MP3 player or Bluetooth. Directly connect a mobile phone to the ice chest and play your favorite songs. If you want to enjoy music alone, you will be able to do so through the headphone jack. Just insert an earpiece into the jack to listen to music in serenity. Of course, it’s compatible with a wide range of devices including; iPhone, Android, iPod, and other Bluetooth enabled devices. Thanks to the interior waterproof plastic, it doesn’t sweat whatsoever. The BREKX is the best-looking cooler with speakers on the list. And the beauty doesn’t precede the functions of the BREKX party cooler. 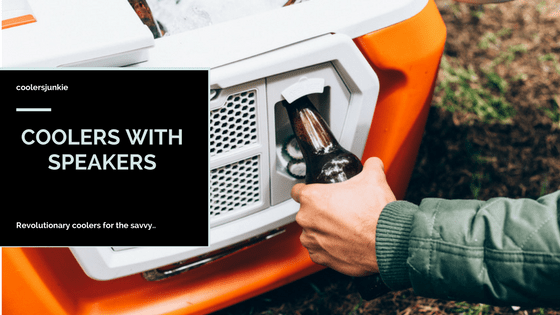 The cooler includes two robust speakers which users can connect to either via Bluetooth or an auxiliary cord, the impressive thing here is that you can connect your device to the Bluetooth 35 feet away. Yes, and it’s also water resistant. Ice retention here is maximum, as a result of the well-insulated interior and metal exterior, your ice gets to retain ice. Powered by reliable 4 AA batteries, the speaker can blast sounds for an extended period. The overall construction is commendable, rust-proof and leak-proof stainless still adds luster to a cooler which already has it all. Side handles make ease for carrying, no doubt, this cooler is suitable for many outdoor activities. This lightweight, soft cooler bag with speakers is suited for short picnic hours. Apparently, it doesn’t hold cooler as much as the others we’ve reviewed above. However, it does offer a stellar performance. The Built-in speakers are decent enough to produce quality sounds. Although not better than what you get from the others above, it’s better than phone speakers. For long playing hours, it comes with a rechargeable battery, so that you don’t have to take out batteries. Front zippered pockets imply you can carry your valuables too. The pockets are made from waterproof liners; you don’t have to fear the melted ice sipping into the pocket. In terms of capacity, you can get space to fit in up to 24 cans plus ice. For easy transportation, it comes with an adjustable shoulder strap. It’s also available in and Red-Budweiser colors, choose the one that suits your style. What you get from this bag is a lightweight cooler and decent speakers to enjoy a day out with a friend or two. The gold design of the fydelity will get all eyes on you, simple. Although not strong as you’d expect, it comes with splash resistant speakers. Built-in stereo speakers and a whopping 3000 milliwatt amplifier produce appealing sounds. Users have two option to listen to music: either through the speakers or the 3.5mm headphone jack. The good thing is any Bluetooth device can connect to the speakers. This might be a turnoff for some – The 4 AA replaceable batteries can give up to 8 hours of playing time. To be very honest, rechargeable cells would have been perfect for this cooler with speakers. Nevertheless, you still get quality music time before the batteries run flat. The affordable price is one of the best parts of the cooler bag. For a low price, you can have a premium ice chest cooler with speakers for your next picnic. Backpacks provide the most convenient option to carry gears around. It’s easy to hang the shoulder straps and walk a considerable distance without feeling stress on the neck or your back. With an 18 can capacity, this cooler will pack enough supplies for a day on the beach. Leak interior line and 600-dernier nylon exterior keeps your item cold and doesn’t sweat. 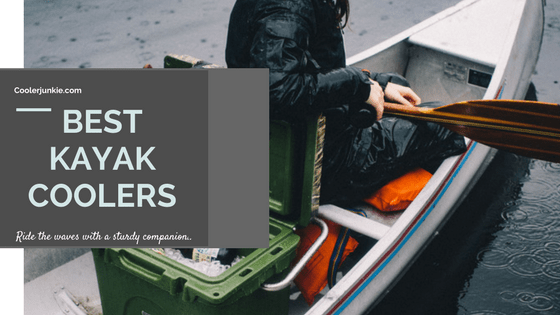 Also, the cooler weighs 1.8 pounds which is lightweight, meaning it’s easier to pack your food and drinks without hassles. It is also powered by a 9v battery, while you get a lot of music playing time. If you need a great soft-sided Bluetooth speaker cooler, the ArticZone is one of the best options on the market. Also, it implores the deep freeze technology or high insulation performance. The manufacturers boast 2 days of ice. The interior compartment is a bit large, 24 cans can fit inside. The interior lining is leakproof, while it’s easy to clean. It also features two additional zippered pockets to store your accessories. Also available are two mounted Bluetooth speakers which is compatible with most Bluetooth devices. A shoulder strap is included to help in easy transportation of the bag. This unique backpack cooler comes with water-resistant removal speakers; you’ll never fear inadvertent water splashes anymore. Weighing less than 3lbs, it’s easy to carry this bag for a long time even when filled. It has a rechargeable battery that offers up to 8+ hours of quality sound and connects seamlessly to your Android, iPhone, or any Bluetooth enabled device. And if you are the type that loves listening to music via headphones, there’s an aux input. It also includes exterior pockets to keep your accessories separate from cold drinks and food. The padded straps are very comfortable, while there’s a phone pouch which makes for secure storage. The speaker is removable; this means you can take out the speakers when you want to use it as a backpack. Just like backpack cooler above, this one too, comes with detachable speakers. With that said, it’s also equipped with a rechargeable battery. The sound produced is finely filtered to give you pleasing music for up to 8+ hours. 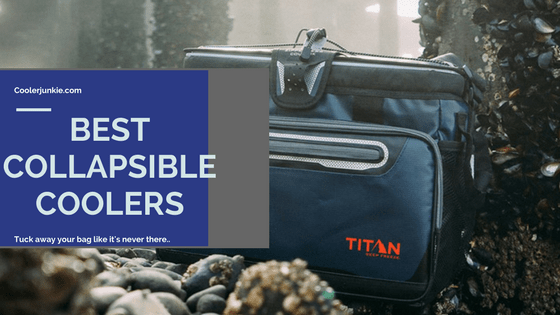 Weighing less than 3lbs, it’s incredibly lightweight, and the compact size makes it easy to travel anywhere without feeling burdened by the size. In all, there’s an additional zippered compartment to store items and a single shoulder strap. Ice chest with speakers are some of the most alluring models you’ll find on the market. If you want to enjoy music while you savor your cold drinks you need one of these models. However, before you set out riding into the sunset, there are some few things you need to know. Considering how frequent ice is used with these coolers, water may likely damage the output or even worse destroy the woofer. Most top models have a well engineered robust casing that’s impervious to water, making it a perfect cooler for the beach. Although these models are resistant to water, people make the mistake of exposing it regular splashes. Make no mistake, too much of everything is bad. If you want to test out this product water resistance, it’s at your own risk or check out YouTube videos. Don’t make your cooler the sacrificial lamb. You wish you could play music all day through those speakers. Well, that depends on how good the battery retains charge. Rechargeable batteries, although steep priced have been tested to have a longer running time. Some users, on average, have reported up to 12 hours of music with some of the mentioned products on a single charge. Having several connecting options such as Bluetooth means you can seamlessly connect the speakers to a Bluetooth device. Whether it’s your smartphone or any compatible device, you can control music from the palms of your hands to enjoy the mini woofer sound. Most models also come with the aux port, which allows you to plug in to play guitar or sing karaoke. Users are satisfied with the sound output. A user reported to set up a small gathering where they danced to the sound played via the speakers. Despite having inbuilt woofer speakers, they can’t replace or give you the boom sound as woofers. It gives a decent performance with rich sound that can cover a sizeable area, aside from that, you shouldn’t expect the Dr. Dre pill kind of sound. Are there Yeti coolers with speakers? You can’t find a cooler with a speaker that’s directly produced by Yeti. The good news is people are using online DIY methods to integrate speakers in their coolers. 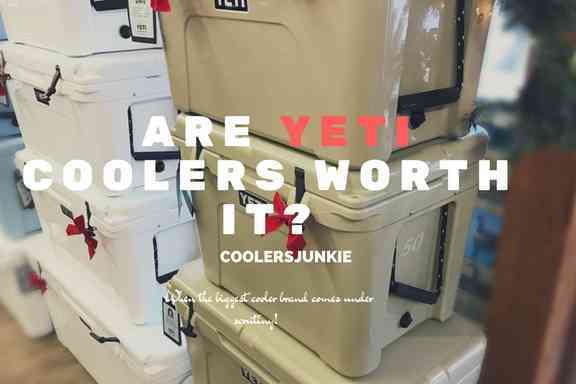 Here’s an article that covers how to make your own Yeti ice chest with speakers. Hard-sided coolers have the special requirement to construct your personalized version. Unfortunately, no. Having waterproof speakers doesn’t make it totally impregnable to water. Floating it will expose the spaces such as the lid to water filtering through. 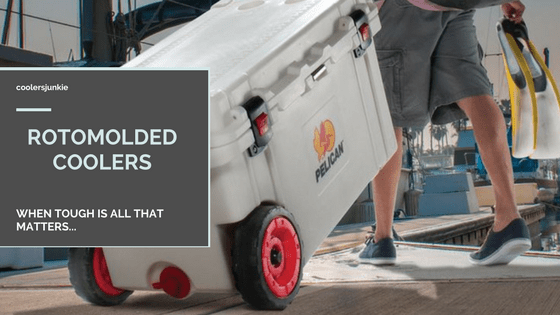 If you want dedicated floating coolers, we’ve written an article covering all you need to know. As I’ve said at the beginning of the review, Ice chest with speakers are innovative products. You’d rarely find this features on regular or rotomolded coolers. Aside from keeping your drinks cold and food, the speakers produce excellent quality sound to keep you entertained. Finding the best speaker coolers is a bit hard as there are things you have to consider. The listed features above are some of the key features you should look out for before you buy one. 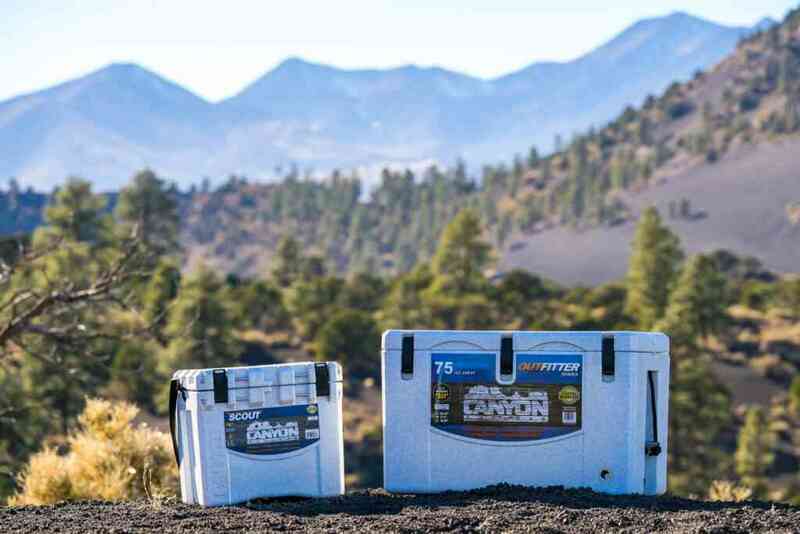 Rest assured, all the coolers on our list have been checked to have all the metric of a great cooler. Make an even greater decision by choosing one on the list or our top ice chests list.